Imagine you have decided to buy a house. Not having an excess of resources, you decide you need to secure the best deal possible. Having only $100,000 to spend, you begin your search at an auction for foreclosed on properties. As you enter the meeting room where the auction will take place, you encounter an Arabian Lamp. You rub the lamp, and (to your great surprise) a Genie pops out of the lamp and promises to give you one wish related to your home purchase: you can either have a house that looks perfect outside (but no clue what the interior of the house might be), or you can have a house that is perfect inside (but you have no clue what the exterior looks like). Which would you choose? While this deal is imaginary (and a bit far-fetched), it illustrates a powerful point. Most would probably rather have a home with immaculate “insides” (while taking our chances with the outside), than have a perfect “outside” and a questionable inside. Why? Well, what good is a home with a perfect white picket fence if the plumbing does not work? What point is a house painted in the latest fashionable color if the electricity is messed up? What value is a house with nice shade trees in the front yard if the heat and air conditioning don’t warm or cool? Certain things on the inside simply (should) take priority over certain things on the outside. However, this is not always the case, is it? Superficial evaluations are performed all the time on everything from political candidates to club membership to job interviews to prom dates to (sometimes even) home purchases. . . discarding what is inside in preference to what is “outside” . . . and this exchange often leads to disastrous results. In Matthew 15:1-20, Jesus is confronted by a group of religious leaders who made a living out of “picking the outside over the inside” – the Pharisees. This group of people rejected Jesus because they did not like His “outside.” Jesus directly challenged these folks by talking about the over-riding value of the inside in God’s economy. 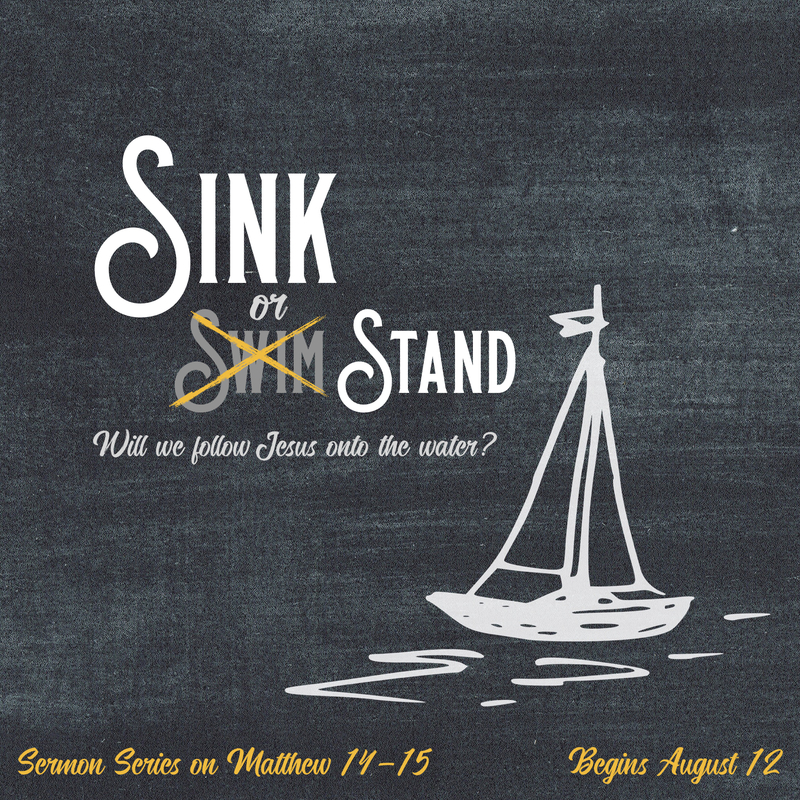 This Sunday at Wildwood Community Church in our 9:45 and 11:00 services, I will be preaching part 3 in our “Sink or Stand” sermon series, looking at a time when the Pharisees sank before Jesus due to their insistence on their exterior traditions to the neglect of a repentant heart. Join us this week as we are encouraged not to sink ourselves into religious self-righteousness as we follow Jesus together. See you Sunday!